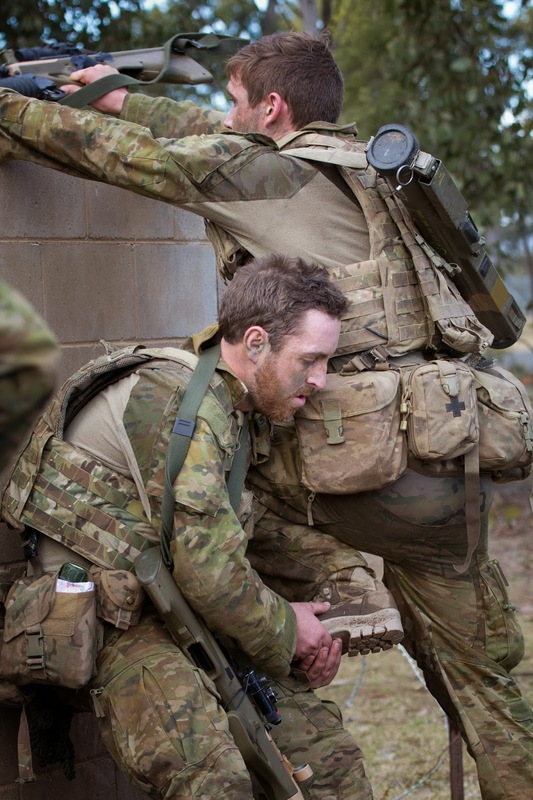 In April of this year we touched rumors that the Australian Defence Department developing a new version of the Australian MultiCam Pattern Uniform (AMP) by integrating the color palette from the DPCU pattern. This was an interesting development as they had developed the AMP specifically for Afghanistan utilizing the MultiCam colors, but integrating pattern elements of the "hearts and bunnies" from their DPCU pattern. 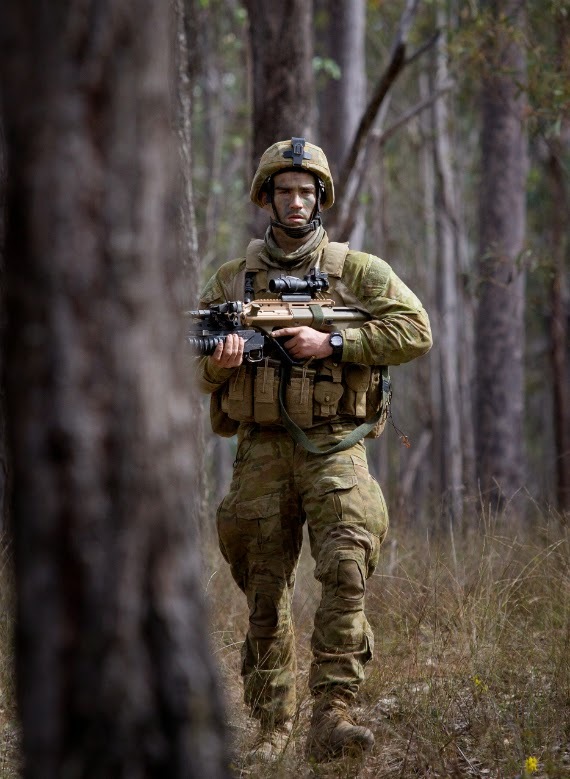 The Australian Army determined they needed a combat uniform that could be utilized in multiple environments for all types of land operations, field training, and daily wear. Lessons learned from combat and elements of the original DPCU provided them with a basis for the new AMCU design. 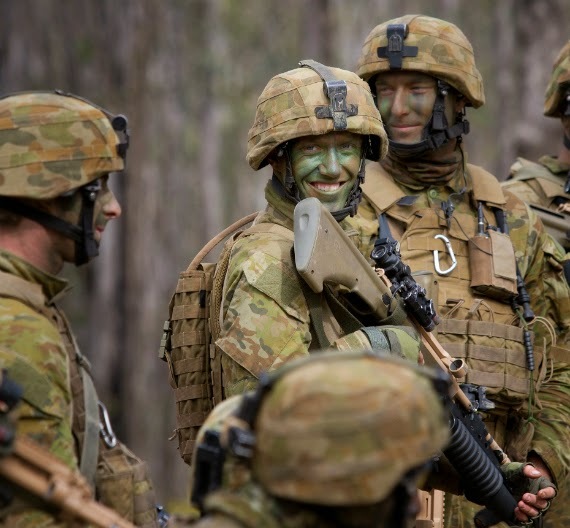 It is noted that the Australian Multi-Camouflage Pattern was developed by a Defence Science Technology Organization. 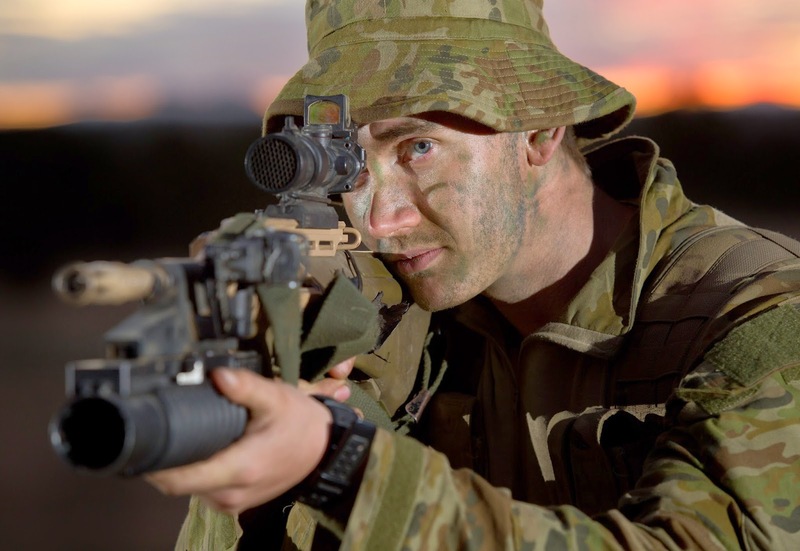 It was tested in multiple terrains including jungle, grassland, and scrub land, which it proved to provide optimal concealment compared to other patterns during the day and evening. With the draw down from Afghanistan, it leaves them with plenty of AMP uniforms, which they will stop using. The new AMCU will also replace the DPCU and DPDU (Disruptive Desert Pattern Uniform). In the photo above you can see the original DPCU pattern on the helmet cover with the new AMCU pattern present on the uniform. Clearly, there is much more contrast in the new pattern with quite a bit more green and some differences with the color comparison. The bunnies not nearly as prominent as with DPCU. The AMCU will have field and combat variations including a Combat Shirt and Pant as well as Field Shirt and Pant. 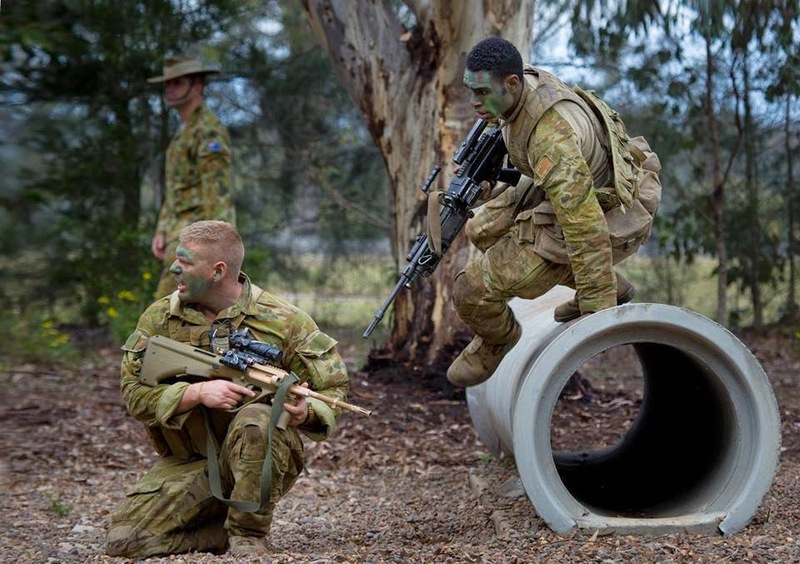 The Townsville’s 3rd Brigade will be receiving the uniforms first. Combat Troops will receive two sets of the Combat AMCU and three sets of the Field AMCU. All other soldiers will receive the same number of field sets only as well as an AMCU Bush Hat, belt, rank slides, and name tapes. The Combat Uniform portion was developed for use with body armor, with joint protection, and stretch fabric in key areas of expansion when on the move. The Field Uniform portion also integrates knee pads and has much fewer pockets for a lighter and cooler design with stretch fabric in the crotch and lower back. We have included all features of each below. High collar in woven fabric with zip closure. Knit fabric body with no pockets to allow for comfort under body armor. Angled sleeve pockets with Velcro closure. Velcro adjustment tabs at cuffs. Stretch woven fabric in back yoke (below waistband), crotch and around knee. Adjustable waist with advanced design. Button and zip front fly closure. Knee pad is snugly held in correct location using elasticised cord adjustment(connects to front thigh pockets) and Velcro closure tabs at the side of the knee. 2 side thigh pockets with zip closure. 2 lower front thigh pockets (external – contains toggle and elasticised draw cord for knee pad adjustment) with Velcro closure. 2 front pockets below waistband (internal). 2 lower leg pockets with Velcro closure. “Improvements to the design of the uniform will enhance a soldier’s survivability and mobility and efficiently support a soldier’s workload while still being functional in a variety of terrains and operating environments. For the first time, Army will introduce two separate uniforms. 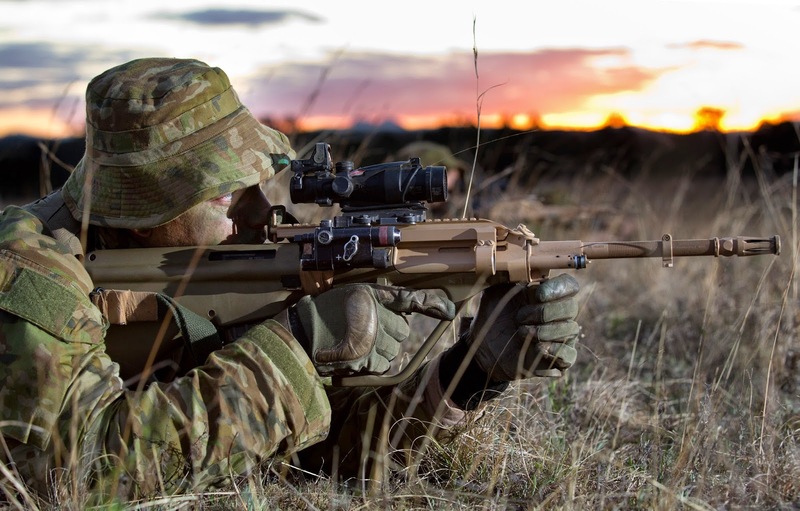 Both the AMCU field and combat variations use a tested Australian Multi-Camouflage Pattern that will take our soldiers from the bush, to the desert and into the jungle." Based on the current DPCU shirt. 5 button closure at the centre front. Sleeve pockets with button closure. Shorter coat length than current shirt. Increased width at coat hem compared to current shirt. Stretch woven fabric in back yoke (below waistband) and crotch. Integrated knee pad with Velcro closure tab. Cord and cord lock adjustment at cuffs.